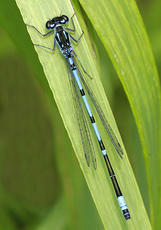 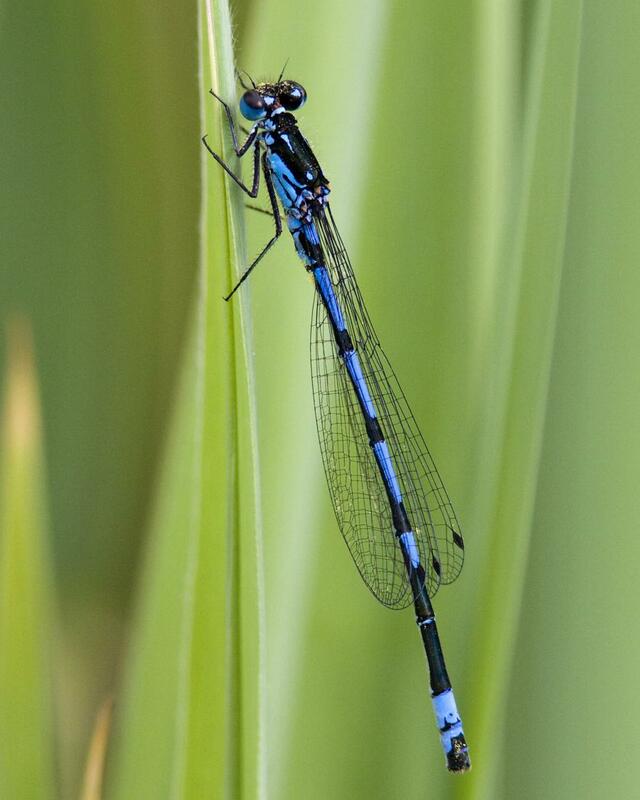 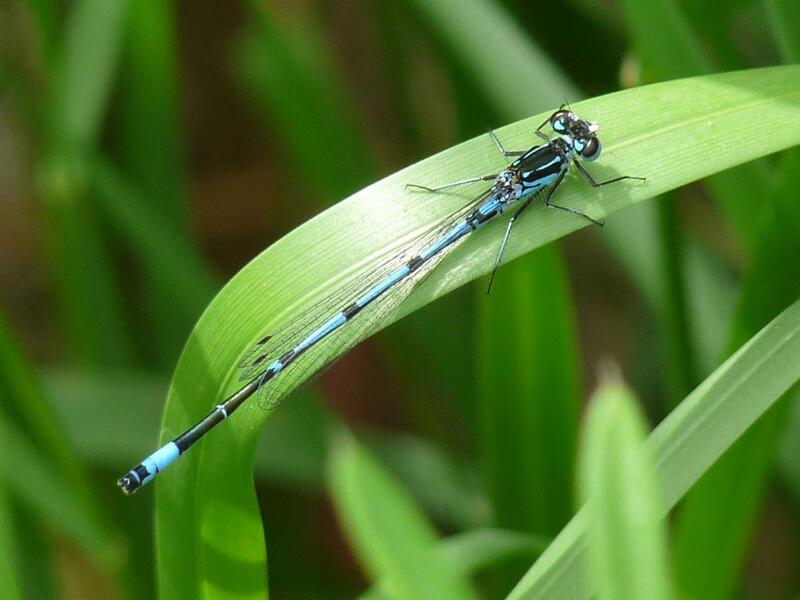 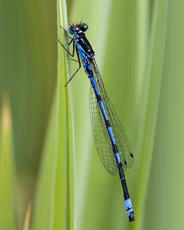 A medium-small damselfly, very similar to the Azure Damselfly. 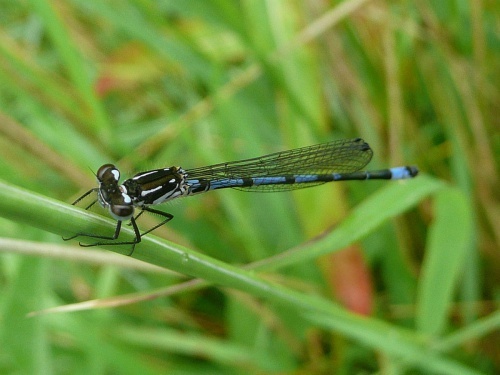 Great care is needed to identify this species. In the male, the thoracic stripes are usually broken to form an exclamation mark (but not in females). Also on males, the black U-shaped mark on segment 2 is usually joined to the black ring below creating a wine glass shape. 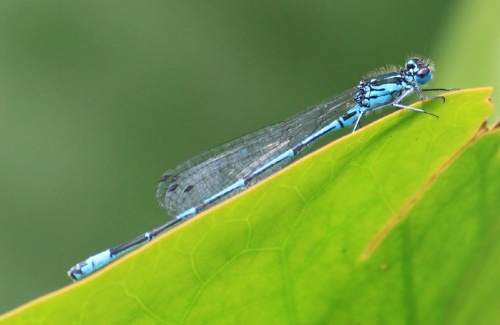 This species resembles both Common and Azure Damselflies. 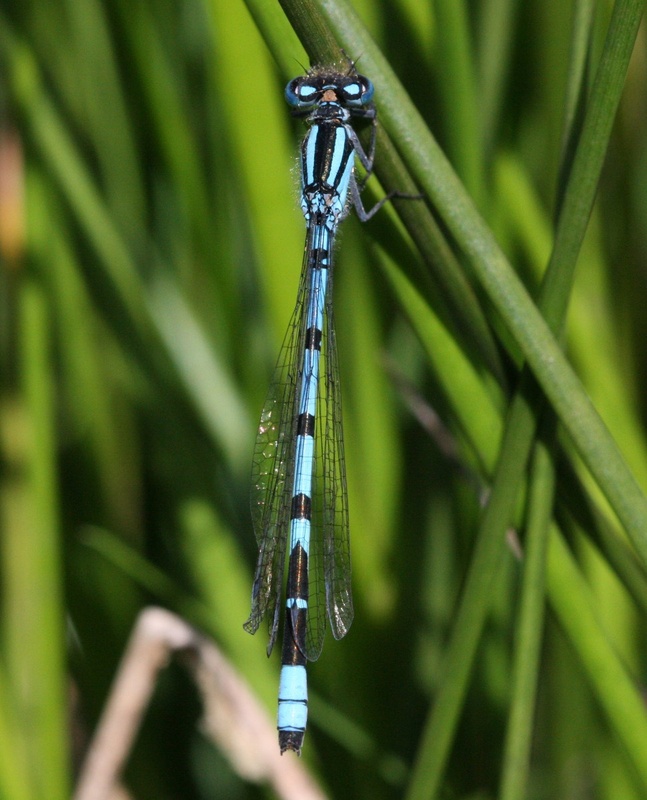 The males can usually be identified by the broken antehumeral stripe but females are tricky. Its habitat requirements are not fully understood but well-vegetated ditches, canals and ponds seem to be preferred. 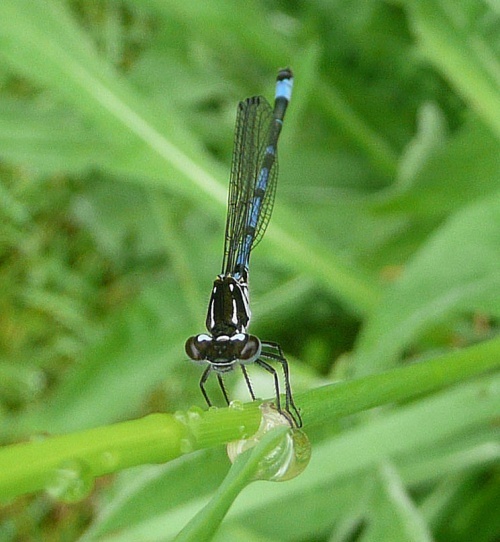 Rarely in flowing water. 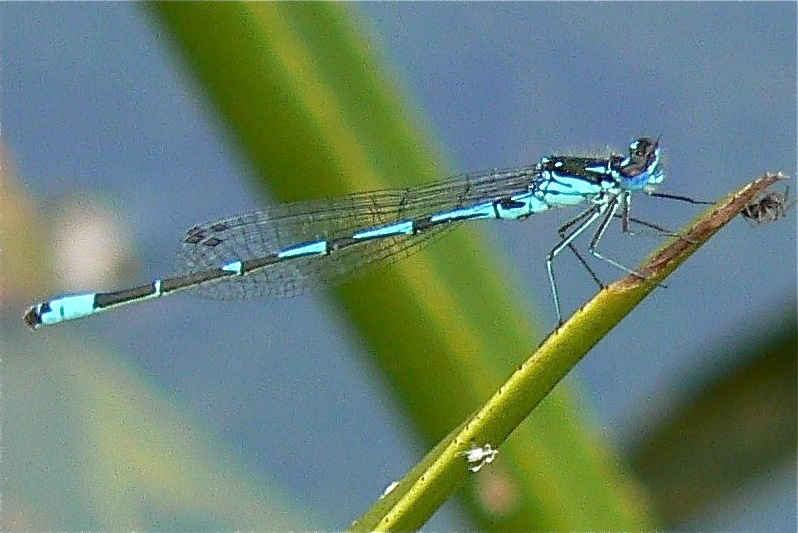 Males hang around the waterside feeding and waiting for females. 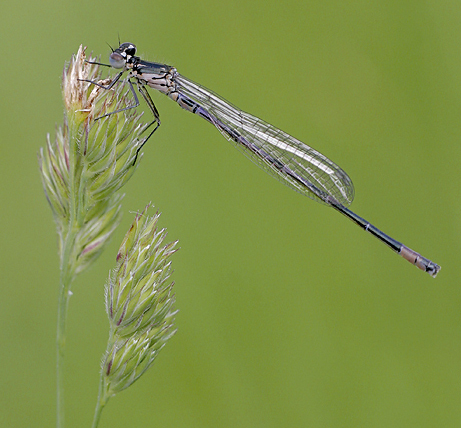 Females feed away from water in sheltered sites and only move to the waterside when ready to lay eggs. After mating, the male keeps hold of the female creating the familiar 'wheel' shape of tandem damselflies, whilst she dips into the water to lay eggs on the underside of aquatic leaves. 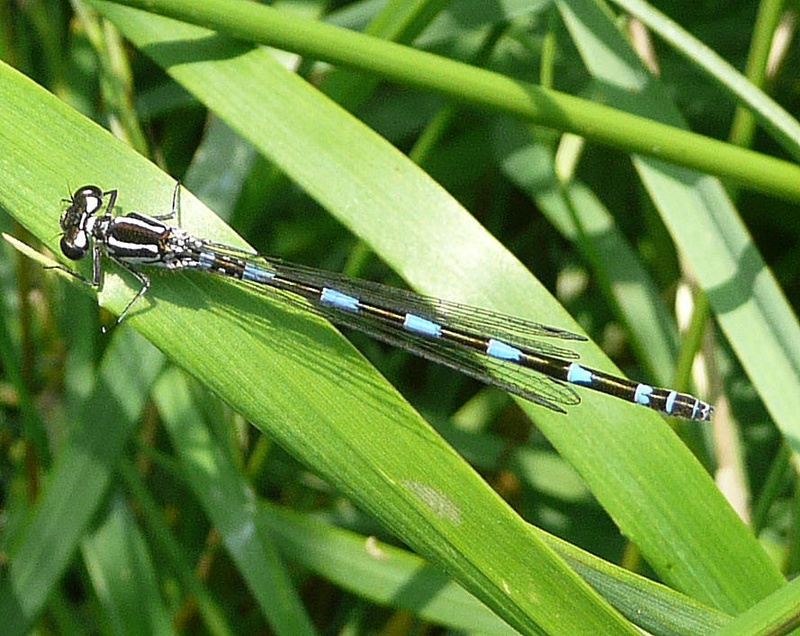 Found in large numbers on the Grantham Canal but otherwise very uncommon in Leicestershire & Rutland with just a handful of records from the Wreake Valley in the vicinity of Asfordby in 2005 and 2006. 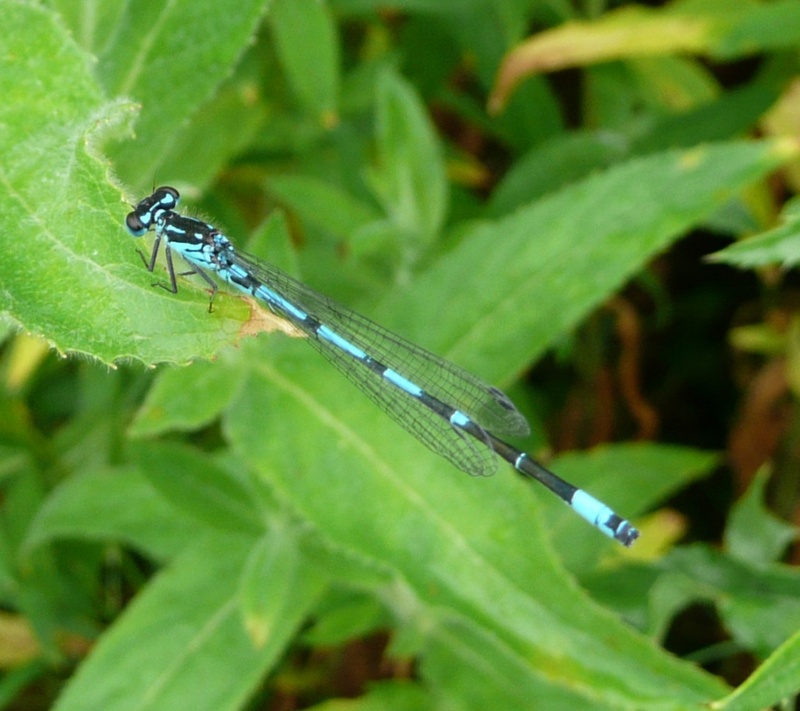 Within VC 55 this species is virtually confined to the Grantham Canal; historic records include just three unverified records from other sites to the east of the Leicestershire. 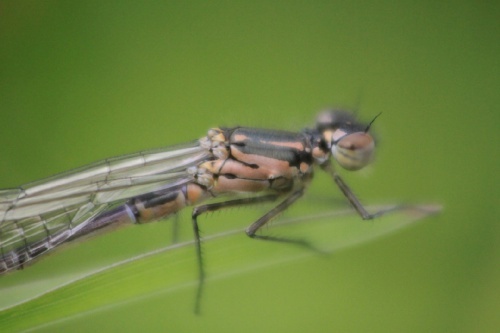 Variable Damselfly can be found in large numbers along the Grantham Canal during the flight season and it is unclear why it is not present at other similar sites. 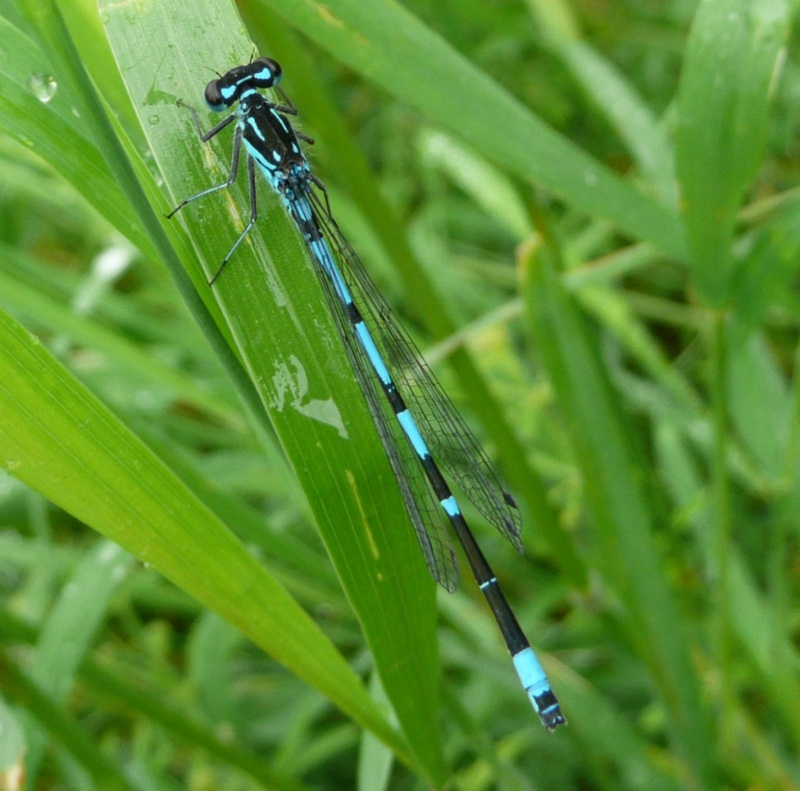 A handful of records from the Wreake Valley in the vicinity of Asfordby in 2005 and 2006 suggest that there may be another colony in this region of Leicestershire.